Carolyn’s Blog | Island life is great! Thanks to Hotels Combined for another Award! Union Bay, BC – HotelsCombined, the Australian-based hotel meta-search company, has awarded Two Eagles Lodge with its 2018 “ Recognition of Excellence” award for being among the top 3% of accommodations in the world. Two Eagles received this recognition in 2017, as well. The recognition of Two Eagles, and other award recipient properties, is the result of an extensive survey of millions of guest reviews of different types of accommodations in Canada; the survey was conducted by Hotels Combined. The HotelsCombined Recognition of Excellence is not a ranking list but a group of outstanding accommodations chosen based on a strict set of criteria. At the time of the survey, Two Eagles Lodge had more than 250 reviews with a high satisfaction rating among guests and travel industry experts, netting an impressive rating of 10 out of 10. 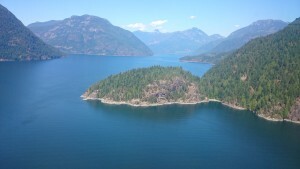 Two Eagles Lodge, which opened in 2007, is a built-for-purpose, waterfront B&B and vacation rental in south Union Bay. It is also recognized by TripAdvisor, with annual Certificates of Excellence and inclusion in the TripAdvisor Hall of Fame. 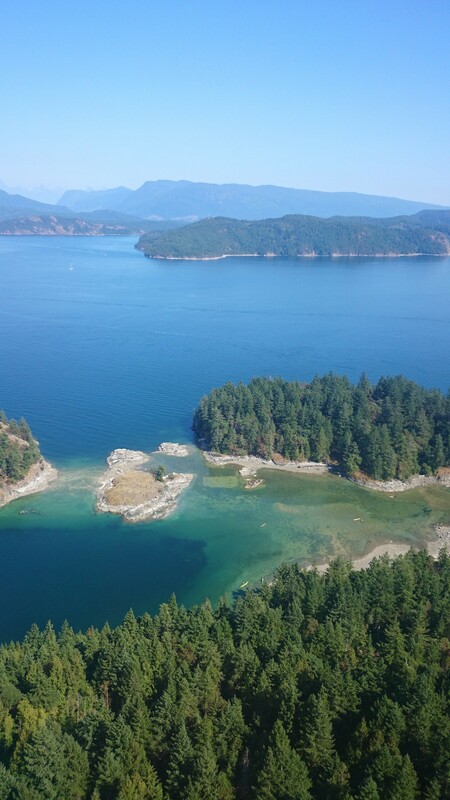 Two Eagles is situated on 12 pastoral acres, offering breathtaking views of Baynes Sound and the coastal mountains east of Comox. The B&B is also a venue for weddings, reunions, retreats, business and private parties. 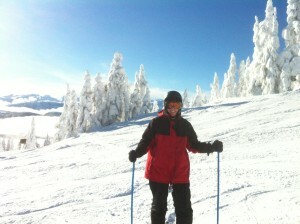 For more details, visit: www.hotelscombined.ca or www.TwoEaglesLodge.com. 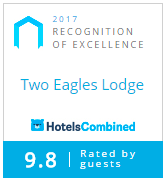 HotelsCombined, the Australian-based hotel meta-search company, has awarded Two Eagles Lodge with its “Recognition of Excellence 2017” award for being among the top 3% of accommodations in the world. The recognition of Two Eagles and other award recipient properties is the result of an extensive survey of millions of guest reviews of different types of accommodations in Canada; the survey was conducted by Hotels Combined. At the time of the survey, Two Eagles Lodge had nearly 250 reviews with a high satisfaction rating among guests and travel industry experts, netting an impressive rating of 9.8 out of 10. Two Eagles Lodge, which opened in 2007, is a built-for-purpose B&B and vacation rental in south Union Bay. 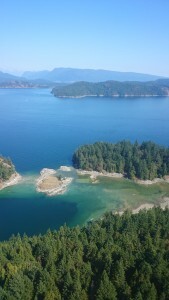 It is situated on 12 pastoral acres, offering breathtaking views of Baynes Sound and the coastal mountains east of Comox. The B&B is also a venue for weddings, reunions, retreats, business and private parties. 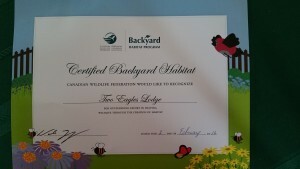 Union Bay, BC–Two Eagles Lodge, a waterfront B&B/vacation rental in the Comox Valley, just received certification by the Canadian Wildlife Federation (CWF) through their Backyard Habitat Certification Program. Certification is valid for five years. Two Eagles is one of 74 properties in British Columbia, and 939 in Canada, to be certified by the Canadian Wildlife Federation (CWF) for proactive efforts to create “backyard habitat”, as of February 11, 2016. When Carolyn and Steve Touhey built Two Eagles in 2006, they worked with their contractors to maintain areas on their 12-acre property that would be wildlife friendly, including keeping heavily treed areas, select stumps, and seasonal streams that run through the property. As part of their development, they added features, such as a large pond, fruit trees, and many gardens with carefully selected feeders, shrubs, and perennials that attract birds and butterflies. There are two resident eagles just off the property line, which grab sticks and branches from trees at Two Eagles to fortress their nest each year. Each year, they also hang more than 40 flowering baskets around the porches to help with pollen. Raising honey bees is on the agenda for the coming year. The Canadian Wildlife Federation is recipient of the designation as “1 of the top 25” charities in Canada; there are more than 86,000 charities in this country. They have more than 300,000 supporters. The Bear Forest is being Saved! Yeah! Hoping you had a great holiday. We were busy being Santa and Mrs. Claus and then spending time with the grand kids (4 and 20 months), enjoying the wide-eyed wonderment of the season through their eyes. Lots of photos. Today, we’re actually enjoying a rare snow in the Valley. Thanks to our moisture, it’s sticking to the trees and is absolutely beautiful. Mount Washington, just 30 minutes away, is a winter wonderland, so we’re grateful to have such a great mountain so close…it beats going to the gym! With us, you can stay at the beach yet be in ankle-deep powder in minutes. Call to book today. HAPPY NEW YEAR! 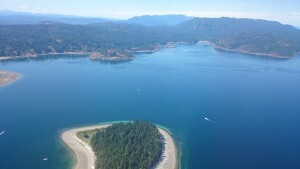 Seaplane Company offers Mail Run That is a “Bucket Lister” –AMAZING! Corilair Seaplanes in Campbell River, just 1 hour north of us, offers an amazing, amazing opportunity for our guests and others. They take passengers in their seaplanes when they deliver the mail to outlying fish camps and private islands in an area known as Desolation Sound, which is the southern part of the Inside Passage where the cruise ships go to/from Alaska. The scenery is second to none, and the company is superb. It’s family owned and they know how to show people a beautiful part of the world in a way that is totally different than cruising through the fjords on a boat. Be sure to check out their Mail Run when you visit this area of Vancouver Island. And, if you stay at Two Eagles Lodge, you get a discount when we book your flight. With the winter months ahead of us, this is the time to get out the dry suit and blow bubbles. The visibility is at its best in the winter, with no algae to impact it. Local dive operators, Pacific Pro Dive and UB Diving, have equipment to rent, and instructors to teach. Vancouver Island is ranked #2 in the world for marine diversity and water clarity according to the Jacques Cousteau Society. Plan your getaway now and come blow bubbles with us. Visit the dive operators’ websites for some amazing photos and come see what you’re missing.